Even with iPad shipments and the market as a whole shrinking year-over-year, Apple still managed to grow its share of the tablet industry in the September quarter, according to research data published on Monday. Apple's share increased from 19.6 percent to 21.5, IDC noted, keeping it ahead of Samsung, which slipped from 16 percent to 15.1. Amazon meanwhile leapt from 1.5 percent to 7.3 percent, putting it ahead of Lenovo and Huawei. The overall market shrank 14.7 percent to 43 million units. Indeed of the five companies above, only Amazon and Huawei saw increased shipments —Apple slipped 6.2 percent from approximately 9.9 million to 9.3. Apple's iPad revenues kept flat instead of declining largely because of the more expensive Pro models, IDC said. Air and Mini models, however, accounted for over two-thirds of estimated shipments, perhaps suggesting that price was more important than specifications. 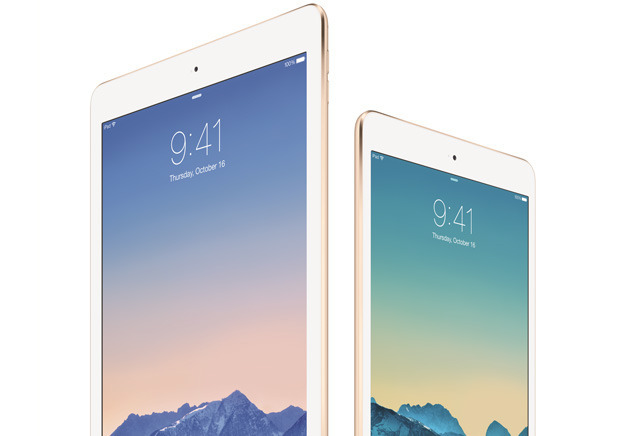 The iPad Air 2 uses 2014's A8X processor, while the more recent Mini 4 actually uses an A8. The company is even still selling 2013's Mini 2, equipped with an A7. No new iPads were announced at last week's press event. Apple could be waiting for the spring —taking a cue from the 9.7-inch iPad Pro launch earlier this year —but has also de-emphasized the iPad in general, since sales have been on the decline for many quarters.